Two experiences contributed to this article. One was a colleague’s loss of her elderly mother just before the close of the academic school year. During her mother’s preceding hospitalization in an Adventist medical center, our colleague found herself torn between attending to the demands of work and her mother’s needs. Although she faithfully checked on her mother several times a day, she was shocked when her mother died unexpectedly. During the hospitalization, her mother’s medical needs had taken precedence, and she had not had a chance to explore her spiritual needs. When she heard that two of her nursing students had prayed with her mother just prior to her passing, she found solace in knowing her mom had been supported as she passed. The second experience came from a qualitative research study conducted a few years ago at Loma Linda University (California).1 The first author surveyed registered nurses working in acute tertiary care about a significant encounter they had experienced with spirituality while at work. Although most respondents reported positive encounters in offering spiritual care, one staff nurse expressed doubts about the educational preparation she had received at an Adventist university to equip her for the role of spiritual-care provider. She shared that she had been taught to offer prayer (and a backrub) during her evening rounds. This had not created any difficulties until she started working outside of a faith-based hospital. One day, she found herself in the uncomfortable situation of being reprimanded by her supervisor because a patient had complained. These two situations warrant reflection. One interaction was received as a precious gift and gratefully remembered; whereas the other, at minimum, ended in a patient’s irritation and a nurse’s discouragement. Clearly, nursing students need to be equipped with tools to navigate patients’ spiritual needs in multi-faith societies. As educators, we have a responsibility to prepare them to recognize spiritual cues and teach them how to invite a spiritual conversation in diverse patient-care contexts. Our students need to be sensitized to potential pitfalls and taught how to connect with people from all walks of life in a way that ensures that each patient always feels respected and honored. Therefore, teaching students about spiritual care deserves thoughtful preparation on the part of the nurse educator. Adventist health care embraces a wholistic approach to care, one that is inclusive of patients’ spirituality. Given its longstanding legacy, it is easy to assume that professionals in this field who have been educated in and work for Adventist institutions are therefore trained in spiritual care. Yet there is scant literature—aside from Ellen White’s writings to medical professionals—that clearly explains an Adventist perspective on spiritual care and how it should be taught. If indeed spiritual care is core to Adventist health care, then a more overt discussion of these questions seems warranted. The purpose of this article is to provide Adventist nurses and nurse educators with a practical guide for inviting a spiritual conversation. In what follows, we review two significant encounters from the Gospels and draw on advice given by Ellen White in her book, The Ministry of Healing, to set the stage. Reflecting on our own experiences and the insights of those who have mentored us, we situate these recommendations in the context of collaborative interdisciplinary practice at Loma Linda University Health and suggest that the combination of experience, research, and guidance from inspired sources provides a unique perspective on how to teach nurses to offer wholistic care. We hope to stimulate more thought and reflection in practice and academic settings. Jesus’ life and ministry exemplified how spiritual care is integral to caring for the sick. His actions in healing two paralytic men reflected a true “whole-person-care” approach that connected physical, mental, and spiritual well-being. The man’s response informs us about the lament of his soul. “‘Sir, I have no one to put me into the pool when the water is stirred up; and while I am making my way, someone else steps down ahead of me.’”4 His expectation for healing was focused on a magical cure supposedly resulting from getting into the pool at the right time. He had no idea to whom he was speaking. Jesus then summoned him to do the impossible: “‘Stand up, take your mat and walk!’”5 Empowered by these words, the man complied and was healed. He then quickly left the place and headed straight to the temple—still carrying his mat—intending to praise God for his recovery. But no sooner had the jubilant man arrived at the temple than the Jewish leaders confronted him for breaking the Sabbath. According to them, he had sinned again; how distressing this must have been to the recipient of Jesus’ miracle. But just then, Jesus initiated a second encounter at the temple: Healing part two! Because Jesus operated on the basis of following the Father, we too should focus on the signs of God’s work in a patient’s life. Spiritual cues may surface as expressions of worthlessness, shame, guilt, fractured relationships, hopelessness, etc., pointing to a spiritual need for forgiveness, acceptance, hope, and/or reconciliation. These will often not be evident unless the health-care provider first meets the physical needs in an empathetic and competent manner. Once these have been addressed and trust has been established, patients may reveal deeper concerns about their lives and their illness. The expressed lament of the soul then provides direction for spiritual caregiving and/or referral to specialists (e.g., pastoral care). We can take inspiration from this case. For example, when we ask patients how an illness has influenced the way they view themselves or God, it is not unusual for them to express remorse, guilt, or shame. Some attribute their illness to God as punishment for past misdeeds. Such an understanding of God makes it very difficult for suffering people to imagine that God will regard them with love rather than contempt and rejection. Guilt and shame therefore prevent them from accessing the most valuable resource they might otherwise access: refuge in the loving presence of a forgiving God who knows them personally and welcomes them into a trusting relationship with Him. For the paralytic man, Jesus’ assurance of forgiveness told him that God had not rejected him and instead loved him infinitely. With a renewed identity as a beloved child of God and his sense of self-worth restored, the man began to experience emotional and spiritual healing. Therefore, when Jesus spoke the powerful words “‘Get up, pick up your bed, and go home,’”13 the man was made whole spiritually, physically, and mentally. What was deemed a blasphemous act by the religious authorities actually revealed Jesus’ divine power and authority as the Son of Man, evidenced by the man’s restored physical health. 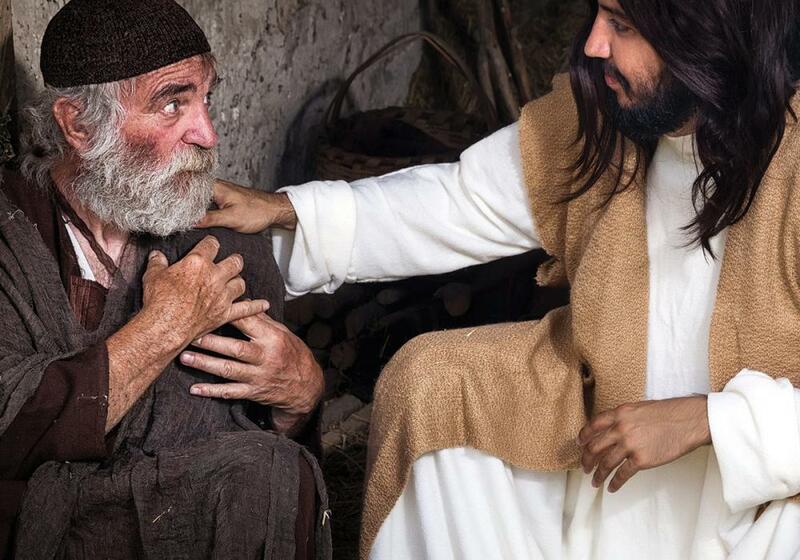 In both of these accounts, Jesus is portrayed as a spiritual caregiver. Whether or not these men were aware of their spiritual needs before their healing, or focused mainly on their felt needs for physical healing and hope, Jesus viewed them wholistically, connected with them authentically, and worked to restore them, not only physically, but also spiritually and mentally. Spiritual cues may surface as expressions of worthlessness, shame, guilt, fractured relationships, hopelessness, etc., pointing to a spiritual need for forgiveness, acceptance, hope, or reconciliation. These will often not be evident unless the health-care provider first meets the physical needs in an empathetic and competent manner. As Adventist health-care providers, we are reminded that the Holy Spirit works in people’s lives before, during, and after the patient encounter. Our experience and perception of a patient and his or her situation is limited. By contrast, God knows a patient’s life story and current need. As nurses become aware of patients’ spiritual needs and respond to them, they, in essence, are stepping on “holy ground.”14 When following Jesus’ model, nurses look for evidence of God working in the life of a patient. Freed of any agenda and guided by the Holy Spirit, they listen for the lament of the soul, empathizing and validating underlying needs. Nurses cannot force this process, nor should they be made to feel that their primary duty is the spiritual restoration and salvation of the patient. Instead, nurses can ensure that they are personally attuned to the Holy Spirit by surrendering to God and submitting to His guidance. The foundation of spiritual caregiving, therefore, lies in connecting with God through prayer and the study of His Word to detect the felt and at times disguised needs of patients. This was Jesus’ method, and it can be ours. Adventist nurse educators take pride in training competent and qualified health-care professionals. We leave little to chance. Curricula are designed to address all aspects of physical and mental health. As educators, we are intentional about what we teach in the classroom; in practice environments, we test and evaluate students’ knowledge and skills, and carefully monitor program outcomes. We also invest much effort in nurturing students’ spirituality because we believe that their spiritual life and personal relationship with God will shape all aspects of their future, including their professional practice. University Health and mentored countless health-care providers over the past decades through workshops and patient rounds. Spiritual care in the context of whole-person care. Rather than reducing the patient to a disease process, a whole-person care approach tries to understand patients as individuals with their own stories, and in their complex physical, emotional, relational, and spiritual dimensions. The spiritual core is seen as the integrating dimension of all other dimensions of personhood. Drawing on more than four decades of caring for patients with HIV/AIDS, Dr. Elder has reflected extensively on practical and biblically based approaches to teaching spiritual-care techniques to Christian health professionals.19 He recommends that educators model and encourage students to commit to following a series of steps in their practice. These include (1) asking the Holy Spirit for passion, love, and genuine care for one’s patients; (2) remaining committed to listening to and hearing what one’s patients and the Holy Spirit say; and (3) inviting patients to tell their stories, while staying attuned to hearing the “anguish of their cry” or the pain associated with their experiences. After a patient has shared his or her story, he advises health-care providers to ask questions that invite a spiritual dialogue. In the following paragraphs, we share a practical approach to soliciting and listening for spiritual themes that has been used at Loma Linda University Health. Applied training in spiritual-care practice. During the past 10 years, Drs. Harvey Elder and Carla Gober-Park, at the Center for Spiritual Life and Wholeness at Loma Linda University (http://www.religion.llu.edu/wholeness), have conducted multiple spiritual care workshops for health-care professionals. These typically involve a practicum in the patient-care units of the Loma Linda University medical facilities. The goal of the activity is to invite a spiritual conversation with patients who are willing to talk to a group of two to three health professionals. The unit charge nurse provides direction regarding which patients to approach—and not to approach. Upon entering a patient’s room, the group introduces themselves as health-care professionals who are not part of the patient’s treatment team but who are attending a conference. The practicum leader informs the patient that the group wants to learn to really listen to patient concerns, and asks if he or she is willing to talk with them. If the patient declines, the group wishes him or her well and leaves. If the patient agrees to talk with the group, the leader asks if they may sit while they speak with him or her. (The rationale is to avoid a posture of looking down at the patient during the conversation.) The practicum leader proceeds by saying: “If at any point you are uncomfortable and do not want to continue talking to us, just say ‘I’m tired!’ and we will leave.” These simple and practical steps are important in establishing consent and giving the patient control over the interaction. How long have you had [or been living with] this illness/injury? What about your illness/injury concerns you most? What is your source of strength? How has this experience changed the way you see yourself? How has this experience affected how you see God/Higher Power/life? The opening question: “How long have you had this illness/injury?” focuses the conversation on the individual’s experience with the illness/injury rather than the details of his or her diagnosis and its implications. It allows patients to reveal as much or as little as desired about their medical history and take the conversation in the direction they choose. They can refocus the question to their preferred timeframe. For example, during one conversation, a middle-aged woman told us how she had suffered a stroke while honeymooning on a houseboat in a neighboring state. She then expressed her sense of gratitude for her husband, who had ensured that she received the medical help she needed, and who continued to support her throughout the ordeal. The second question, “What about your illness/injury concerns you most?” seeks to explore and understand the patient’s primary lament, or the “chief complaint.” It is easy for nurses, like other health-care professionals, to assume that they understand patients’ primary concerns. Yet asking this question has repeatedly revealed that these concerns are not necessarily related to the diagnosis or treatment plan. We have discovered that a nurse can go through an entire shift while remaining unaware of the patient’s primary source of distress. For example, in one conversation, when we asked this question of a muscular young man who was sitting up in his bed, his response was, “Will God forgive me?” Unbeknownst to the small group, he had been involved in a shooting altercation and had lost his lower leg. Rather than focusing on his immediate physical suffering or loss, his unspoken distress stemmed from feelings of guilt and condemnation. Strikingly, when invited to share, he instantly conveyed his spiritual lament. This model of inquiry then asks about patients’ source(s) of strength and/or support: “What helps you get through hard times?” At this point, patients often refer to their support system: family, friends, or colleagues. Some mention their church, a club to which they belong, or a particular person. God may or may not be in the picture. A follow-up question can probe further: “Do you have a religious heritage or a faith community that is relevant to you?” Followed by, “Is that a source of support to you right now?” While the first author (Iris Mamier) shadowed Dr. Elder in an HIV/AIDS clinic as he saw a man with Kaposi sarcoma, it became apparent that the patient was not taking his anti-retroviral medications. During their interaction, Dr. Elder asked about his religious heritage. The patient explained that he had grown up in a Protestant denomination but figured that God didn’t like him because of lifestyle choices he had made. This encounter illustrated how underlying spiritual beliefs (e.g., guilt, feelings of worthlessness, a punitive picture of God) can have a significant impact on patient health-care decision-making (e.g., medication adherence). In this case, the spiritual dimension was key to understanding why this patient had stopped caring for himself, and addressing his spirituality was vital for effective treatment to occur. Likewise, when patients identify as atheist or agnostic, there is typically a story in the background, often one of disappointment with a particular religious person or faith group that explains why they have given up on God altogether. Patients may find it therapeutic to be given the opportunity to share this without being judged. Similarly, patients who are believers may appreciate sharing how their faith helps them cope with life’s challenges, giving the health-care provider a chance to affirm their faith. The fourth question asks: “How has this experience changed the way you see yourself?” This question allows patients to reflect on how the illness experience has affected them personally. Facing their own vulnerability, they may share: “I’ve always felt like I am strong and independent. It’s scary to be so weak and helpless all of a sudden!” Or: “After this fall, I am afraid I am becoming a burden to my family!” Both of these responses reveal that the patient’s sense of self-worth has been shaken, reflecting the paradigm: “I’m worthwhile only when I’m strong, when I’m a productive member of the family or community.” It is not uncommon for illness experiences to generate questions about one’s life course, purpose, and sources of meaning. Allowing oneself to be vulnerable and to receive gracious nursing and medical care can lead to renewed perspectives on life and clarity about what really matters, which patients may wish to share. Finally, depending on whether or not the individual has acknowledged a belief in God, we may follow up by asking: “How has this experience affected the way you see God or whatever ultimate meaning you hold in life?” This question openly probes the patient’s conception or picture of God and the existential questions in his or her life. These beliefs have the potential to greatly shape the illness experience. In a study aimed at exploring religious coping, Kenneth Pargament20 surveyed 310 Christian church members six weeks after the Oklahoma bombing tragedy. Using factor analysis, he categorized underlying religious beliefs as “helpful” versus “harmful” religious coping. While helpful coping drew on spiritual support and benevolent religious reframing, harmful religious coping was characterized by religious pain and turmoil, discontent with God, the church, and reframing of negative life events as punishment from God. Pargament found that those who primarily engaged in helpful religious coping held benevolent beliefs about God and grew spiritually and psychologically in the aftermath of this trying life situation, while negative religious coping was associated with more callousness toward others. For patients who welcome such a discussion, these five questions can generate substantive and meaningful conversations that validate their experiences. The sequence is not designed as a rigid structure but rather as prompts to steer the conversation in a meaningful direction. Based on our experience, patients and/or family members appreciate being able to have the undivided attention of health-care providers. This in itself can be experienced as a gift and as therapeutic. Dear God, thank you for the privilege of talking with [Mrs. Smith]. She is your beloved daughter―thank you for being with her through these trying times. We are grateful that she is recovering from her surgery and that her son has been so supportive through this experience [mention things that the patient named as being important]. Please be with her as she goes to rehab tomorrow [include specific concerns or requests that the patient mentioned]. Bless her, Lord, and continue to grant her healing and Your peace. In Your name we pray. Amen. Once the group has left the patient’s room, the practicum leader should take them to a quiet corner or small conference room to debrief the experience. This is an essential part of the practicum, as much of the learning often occurs after the patient encounter. The practicum leader and the group reflect on what they heard and observed, and discuss cues they followed or missed. Suggested questions that can be directed to the group include the following: How does the person who asked the questions feel? What spiritual needs did the patient identify? Should there be a referral/follow-up? The debriefing process allows students and participants to identify emerging spiritual themes. These sessions also provide an opportunity to affirm participants’ individual strengths, provide feedback, and suggest alternative approaches. Finally, they also provide a framework from which to evaluate one’s own effectiveness. The two stories at the onset of this article illustrate that meeting patients’ spiritual needs is what ought to drive any spiritual care. While in the first case, spiritual support allowed the patient to pass peacefully, and this knowledge comforted the bereaved daughter, the second scenario raised concerns because prayer was offered without prior assessment and regard for context. We suggest that the context in which prayer or any other spiritual care is offered matters: Has the nurse connected genuinely with the patient? Assessed and explored the patient’s wholistic needs? And, fundamentally, does the spiritual intervention meet the actual expressed needs of the patient? The suggested questions inviting a spiritual conversation can provide helpful guidance. The art of listening for spiritual cues can be taught best in the clinical environment in small-group patient encounters followed by debriefings or post-conferences. In conclusion, when modeling spiritual caregiving and teaching students how to become spiritual caregivers, instructors would do well to communicate the deep joy and sense of calling that comes from intentionally engaging in this sacred work. As we become increasingly attuned to the unique opportunity and privilege nurses have to “step on holy ground,” we are reminded that the most powerful posture and truth from which we can approach our patients is to view them as beloved children of God. This love is transformative: “The love Christ diffuses through the whole being is a life-giving power. Every vital part—the brain, the heart, and the nerves—it touches with healing. By it the highest energies of the being are roused to activity. It frees the soul from the guilt and sorrow, the anxiety and care that crush the life forces. With it come serenity and composure. In the soul it implants joy that nothing earthly can destroy—joy in the Holy Spirit—health-giving, life-giving joy.”22 This is the optimal outcome of spiritual caregiving; that through our interactions with patients, they experience this life-giving love, and recognize the Great Healer at work in their lives. The authors acknowledge with appreciation the valuable contributions to this article from Dr. Patricia S. Jones, and Mrs. Adelaide Caroci Durkin. Iris Mamier, PhD, MSN, RN, is an Associate Professor in the PhD program at the Loma Linda University School of Nursing (LLUSN) in Loma Linda, California, U.S.A. She holds a PhD from Loma Linda University, a Master’s degree in nursing education from Humboldt University, Berlin, Germany, and completed her undergraduate nursing at Heidelberg University, Germany. 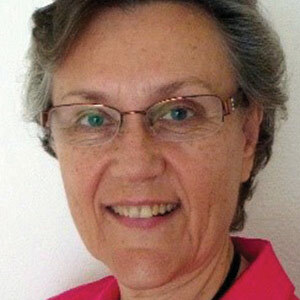 She has practiced and taught nursing across programs in Germany, Switzerland, and the United States, and was the Dean of Waldfriede School of Nursing in Berlin, Germany. For the past 15 years, she has been involved in whole-person care and nursing spiritual care from practical, conceptual, teaching, and research perspectives. 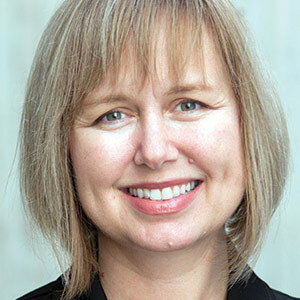 Anne Berit Petersen, PhD, MPH, APRN-CNS, is an Assistant Professor in the graduate program at LLUSN. She has worked as a nurse educator in China, Tanzania, Ethiopia, and the United States. She completed a bachelor’s degree in English at Washington Adventist University, a bachelor’s degree in nursing at Andrews University, Master’s degrees in nursing and public health at Loma Linda University, and a PhD and postdoctoral fellowship at the University of California San Francisco. Dr. Petersen is passionate about equipping nurses to provide wholistic care, and her current program of research focuses on tobacco control and the prevention of non-communicable diseases locally and globally. 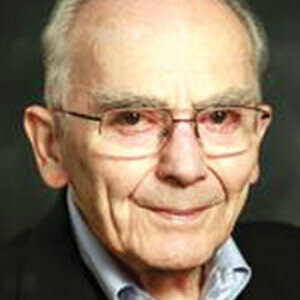 Harvey Elder, MD, graduated from the Loma Linda University School of Medicine in 1957 and completed an internal medicine residency at the University of California at San Francisco and San Francisco General Hospital. He also completed a fellowship in infectious diseases at Harvard University. Dr. Elder developed the hospital infection-control program at the LLU Medical Center and Jerry L. Pettis Memorial Veterans Administration Hospital in Loma Linda. Over the past three decades, his clinical practice has focused on the care of persons with HIV and AIDS. He pioneered whole-person care by clinicians at LLU by helping patients find spiritual strength and courage as they dealt with life and health-related challenges. Iris Mamier et al., "Inviting Spiritual Dialogue: A Loma Linda University Perspective," The Journal of Adventist Education 79:5 (October-December 2017): 26-32. Available from https://jae.adventist.org/en/2017.5.5. Iris Mamier, “Nurses’ Spiritual Care Practices: Assessment, Type, Frequency, and Correlates.” PhD diss., Loma Linda University, 2009. ProQuest (AAT 3405316). when He arrived at the Pool of Bethesda. John 5:6. Unless noted otherwise, all Scripture references in this article are taken from the New Revised Standard Version Bible, copyright © 1989 the Division of Christian Education of the National Council of the Churches of Christ in the United States of America. Barbara Stevens Barnum, Spirituality in Nursing: From Traditional to New Age, 2nd ed. (New York: Springer, 2003). Sigve K. Tonstad, The Lost Meaning of the Seventh Day (Berrien Springs, Mich.: Andrews University Press, 2009). John Mac Arthur, The MacArthur Bible Commentary (Nashville, Tenn.: Thomas Nelson, 2005), Luke 5:17-20. Henry Blackaby, Richard Blackaby, and Claude King, Experiencing God: Knowing and Doing the Will of God (Nashville, Tenn.: B&H Publishing Group, 2008). Ellen G. White, The Ministry of Health and Healing (Nampa, Idaho: Pacific Press, 2004), 58. Patricia Benner, “From Novice to Expert,” The American Journal of Nursing 82:3 (March 1982): 402-407. Light (documentary) (Loma Linda, Calif.: Loma Linda University Health Center for Spiritual Life and Wholeness, 2015). Harvey Elder, Spiritual Care Workshop, Loma Linda University, January 30 and 31, 2009. Kenneth Pargament, Psychology of Religion and Coping: Theory, Research, Practice (New York: Guilford Press, 1997). Siroj Sorajjakool, Mark Carr, and Ernest Bursey, eds., World Religions for Healthcare Professionals, 2nd ed. (New York: Routledge, 2017); Aurora Realin and Todd Chobotar, eds., A Desk Reference to Personalizing Patient Care, 3rd ed. (Maitland, Fla.: Florida Hospital Publishing, 2012). White, The Ministry of Health and Healing, 55.